RAPAPORT... Angola plans to allow miners to sell up to 60% of rough diamonds to companies of their choice, including to their own trading divisions, Reuters reported last week. 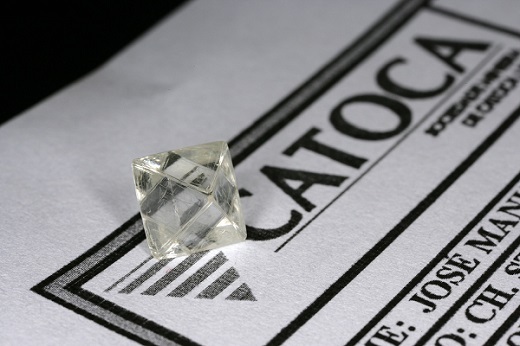 The changes are part of the country’s reforms to its diamond sector under President João Lourenço, who came to power in September. Producers must currently sell through state-owned trading company Sodiam. As a result, Catoca, Angola’s largest diamond mine, lost an estimated $464 million over the past six years because Sodiam often sold goods to politically connected buyers able to negotiate below-market prices, Reuters said. In addition, Angola will introduce sales that are open to pre-approved buyers, similar to De Beers’ sights. Exceptional stones will go up for auction individually at separate events, the report said. Angola’s government will also increase its oversight of the sector, which previously had a lot of freedom as state-owned diamond companies Sodiam and Endiama had significant influence under former president José Eduardo dos Santos, the report continued. Under the reforms, ministers will have the power to appoint independent evaluators to intervene in disputes, and set more transparent criteria for Sodiam’s selection of buyers. That includes giving priority to polishers and jewelry manufacturers over traders who resell the diamonds.